Processing Time: This item will be shipped out within 2 business days. Our fake temporary water transfer tattoo stickers are non-toxic, non-allergic and 100% safe for kids. 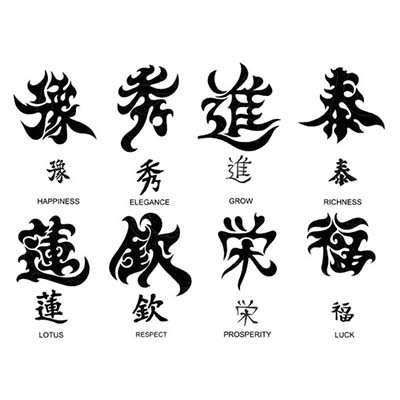 We provide you with unlimited choices, ranging from Celtic Temporary Tattoo, Chinese Temporary Tattoo, Christian Temporary Tattoo, Hawaiian Temporary Tattoo, Hebrew Temporary Tattoo, Irish Temporary Tattoo, Japanese Temporary Tattoo, Maori Temporary Tattoo, Mexican Temporary Tattoo, Old School Temporary Tattoo, Polynesian Temporary Tattoo and Prison Temporary Tattoo. 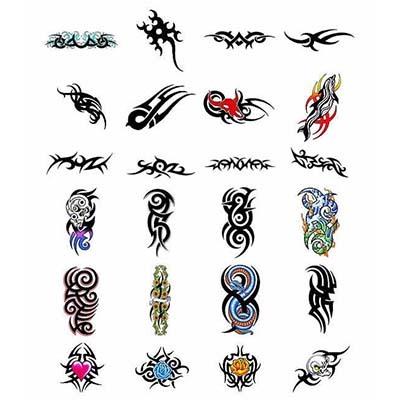 There are also custom temporary tattoos to satisfy your exact style needs. Custom temporary tattoos make a fun and unique addition to any occasion or promotional event.. For a more premium finish, try our specialty tattoo materials. Our high quality temporary tattoos are non-toxic and FDA approved.These custom temporary tattoos make a fun addition to any event, occasion, corporate retreats or promotional use. Why keep your sense of style all to yourself? It's time to show off with custom temporary tattoos! Temporary tattoos are making big waves in today's pop culture. Now you can make a huge fashion splash with your own custom temporary tattoos!Once a tattoo sticker is in the hands of customer, they become the marketing vehicle for your brand. 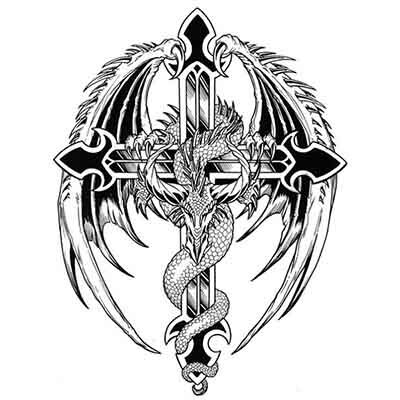 Tattoo sticker can be placed on virtually any medium as skin, paper, plastic, glass and etc (except fabric). They are easy to apply and removed. Not finding what you're looking for in our styles? Not to worry, design your own custom temporary tattoos! 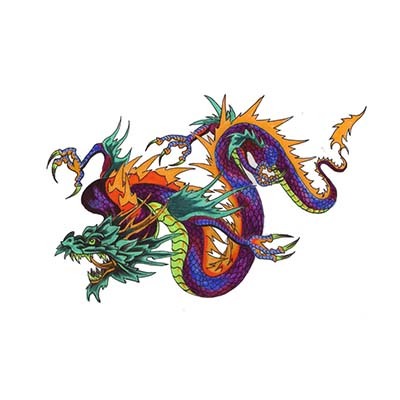 Submit your design of custom temporary tattoos and we will create it. 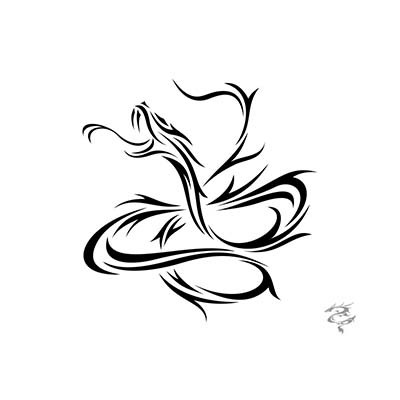 designtattoos.top is here to serve your temporary tattoo needs! email us for assistance with your art files and for latest pricing at? or info@designtattoos.top. 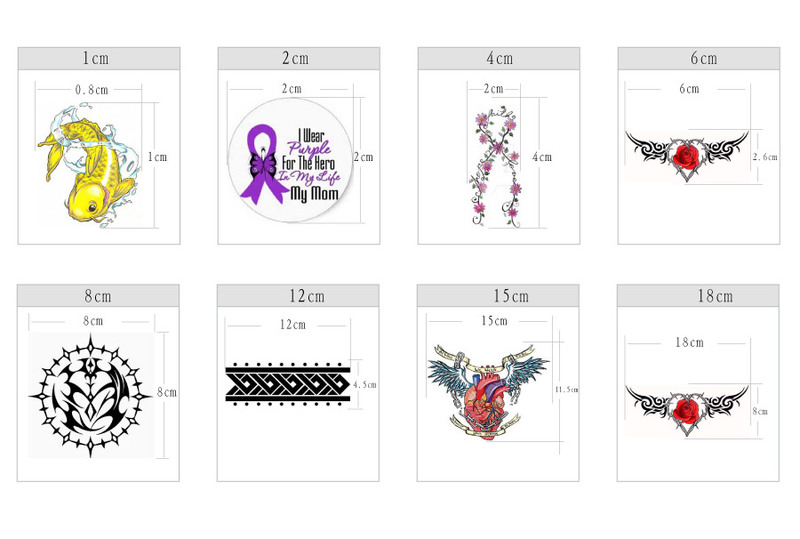 Products Size Available: 0.6", 1", 2",3",4",6", 8", 10", 12", 15", 18" (Size is CM), we can also customize any size tattoos sticker to meet your requirement. Please contact us at info@designtattoos.top? for custom stickers.